Torpey Denver and its Manufacturers, unless specifically noted, do not provide for any acceptance period, right to return or exchange a product once shipped. To the extent any returns or exchanges may be permitted, such return authorizations are subject to strict rules including, but not limited to, requiring that certain packaging be intact and no evidence of any use whatsoever. CUSTOMER AGREES TO SEEK ADDITIONAL INFORMATION REGARDING RETURN POLICIES IF THEY ARE NOT CERTAIN ABOUT THE UTILITY OF A CERTAIN PRODUCT. 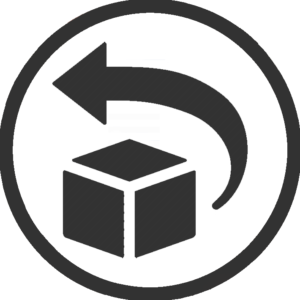 All return requests that are allowed and processed through Torpey Denver are subject to an additional restocking fee of 5% over and above the manufacturer’s restocking fees plus any actual expenses incurred in the return process such as shipping and handling. 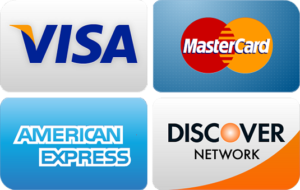 To place your return or exchange authorization request, please follow the instructions stated in www.torpeydenver.com. Torpey Denver will endeavor to respond promptly to such requests. Please note any product sent back without having the proper authorization will refused by Torpey Denver, possibly voiding the opportunity to get credit for the order. Returns or exchanges for Torpey Denver products must be made within 30 days of purchase. (If your purchase is over 30 days, mention it in your request as, in some cases, we might be able to still process your return). Purchases over 3 months will not be accepted for return. Returned products must be in original packaging, unused, undamaged and in re-saleable condition or the return authorization will be voided. Return method/credits usually take several days after the merchandise has been returned to the appropriate location, the credit will be issued back to the method used for purchasing the item. When returning an item for exchange, customer is responsible of placing an order for the correct items he/she needs. Once the incorrect items are received back in the warehouse, the credit for the first order will be processed and the required refund will be granted (note this process may take up to 2 weeks after the item is received in our warehouse). Before we can process your return request, please complete this form with your answers to the questions listed below. *Return authorization may take up to 7 business days to be approved. The return process itself, once item is received, can take up to 3-4 weeks to be completed. *Re-stocking and re-boxing fees may apply and no shipping charges will be refunded.